by Jessica Lewis	Posted in	Lifestyle	on 20/11/2018 . Effective skincare routines might seem like a near impossibility for busy women who are constantly travelling and on the move for work. But travelling from place to place and working long hours doesn’t mean you can’t keep up a revitalising skincare routine or indulge in treatments. At Skinstation, we provide smart quality skincare for the busy woman on the go. In fact, advances in Doctor-led skincare can give you results that you would normally see from clinic treatments, so you can get the skin you want without having to sacrifice time out of your busy schedule to book an appointment! Dr Dennis Gross Spectralite Eyecare Pro. This amazing hands-free, FDA-cleared, anti-ageing device features professional light therapy for the reduction of fine lines and wrinkles. This innovative technology features 72 LEDs showcasing a full spectrum of therapeutic light and is proven to stimulate the natural production of collagen to treat signs of ageing around the eyes. It’s quick, easy-to-use, has an adjustable head strap for universal fit, and it will shut off automatically after three minutes. 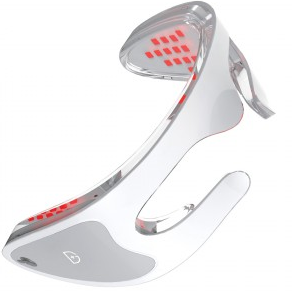 The LED lights penetrate deep within the dermis to stimulate collagen production and help with circulation and inflammation, the cause of irritated red and dry skin. The Spectralite smooths wrinkles and crow’s feet, visibly firming skin and evening skin tone and texture. It’s the perfect accompaniment for the busy professional; just a short stint in the evenings before bed can do wonders. Lumity Anti-Ageing Supplements are a smart addition to any skincare routine. These are taken in the morning and before bed to address the signs of ageing. Recently endorsed in Grazia by model Kate Moss, who is said to be using them, these ground- breaking, anti-ageing supplements contain powerful ingredients that work around the clock to support beautiful skin and provide inner nutrition. The morning supplements contain vitamins C and E, as well as Selenium and Zinc to help protect your body on a cellular level against oxidative stress. Crafted to maintain the skin from the inside out, the night-time supplements contain high levels of Omega 3s and amino acids to keep skin elastic, radiant and supple. 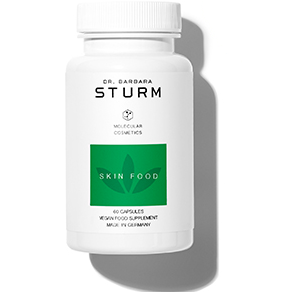 Another skincare treatment for those on the go, Dr Barbara Sturm’s Skin Food Capsules are known as the ‘fountain of youth’ for their ability to reduce the appearance of wrinkles. The capsules support a younger complexion from the inside out with ingredients such as Purslane, an elusive ‘super plant’ with powerful skin benefits thanks to its abundance of Omega-3 fatty acids, and glucosamine, which supports healthy skin by improving the body’s own natural production of plumping hyaluronic acid. A perfect treat for when you have some spare time to yourself in the evening, the MZ Skin Hydra-Lift Golden Facial Treatment Mask is a collagen-infused treatment that can transform dull, lacklustre skin in one step. Each mask is saturated with a blend of radiance- enhancing gold nanoparticles, collagen-boosting Niacinamide and hydrating aloe leaf, which work in tandem to firm, smooth and nourish a parched complexion. 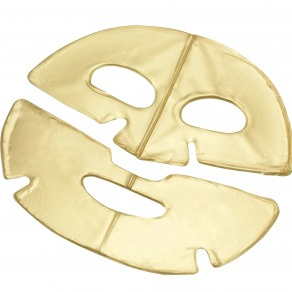 Simply unfold the mask and apply to the face, leave for 20 minutes whilst gently massaging your face to enhance absorption, before peeling off and removing any excess with warm water. The mask is designed to plump and firm the skin, brighten and restore radiance, hydrate and smooth out fine lines and wrinkles for a rejuvenated complexion. These skincare products are ideal for busy women who don’t have time for overly complicated, time-consuming skincare routines. At Skinstation, we are passionate about smart effective skincare. Take a look at our range of products to find something to suit your needs, including our range of Obagi skincare, one of the most recognised and trustworthy global skincare brands.